The Aloe Vera And Cactus As Crop. 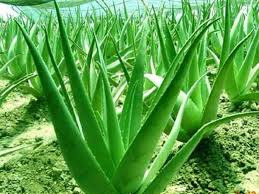 The Aloe vera and cactus as crop The numerous possibilities of obtaining different products and by-products by processing Aloe Vera and Prickly pear catus are enormous and a great number with widely different possibilities of obtaining different products and by-products from cactus pear,nopal and Aloe vera. New hopes and has much to contribute to human food chain, there can be a hope for new human medicine, source of natural additives for use within the food industry. For many local low-income inhabitants who live they're in different parts of the world a 'bridge of life'. For the others living there an additional source of income. Basically, the demand for nutraceuticals, natural ingredients and health-promoting foods is increased constantly. Both cactus pear and aloe vera offer new hopes for the semi-arid regions because of sustainability in terms of production. The main studies on the fruits and leaves called pads or cladodes proved that all parts can be used: pulp, skin and seeds, the volatile constituents of pulp, juice production, production of alcoholic beverage, jam production and the production of cocoa butter equivalents from prickly pear juice fermentation by an unsaturated fatty acid auxotrophs.